Judge Oscar Lovell Shafter (October 19, 1812 - January 23, 1873) served on the Oakland City Council, Vermont Legislature, and was an associate justice on the California Supreme Court. Born in Athens, Vermont, Shafter was the son of William Shafter, a farmer who was also a member of the Vermont Constitutional Convention of 1836, County Judge and State Legislative member, and Mary Lovell Shafter. Judge Shafter was also the grandson of James Shafter, who fought in the battles of Bunker Hill, Bennington and Saratoga, followed by 25 years in the Vermont Legislature. After attending Wilbraham Academy in Massachusetts, Shafter graduated in 1834 from Wesleyan University in Middletown, Connecticut, and in 1836 graduated from Harvard Law School. He practiced law in Wilmington, Vermont, and with his political star rapidly on the rise, Shafter was elected to the Vermont State Legislature and although he did not want to run for Congress, was the chosen candidate of the Liberty party, with which he was affiliated. 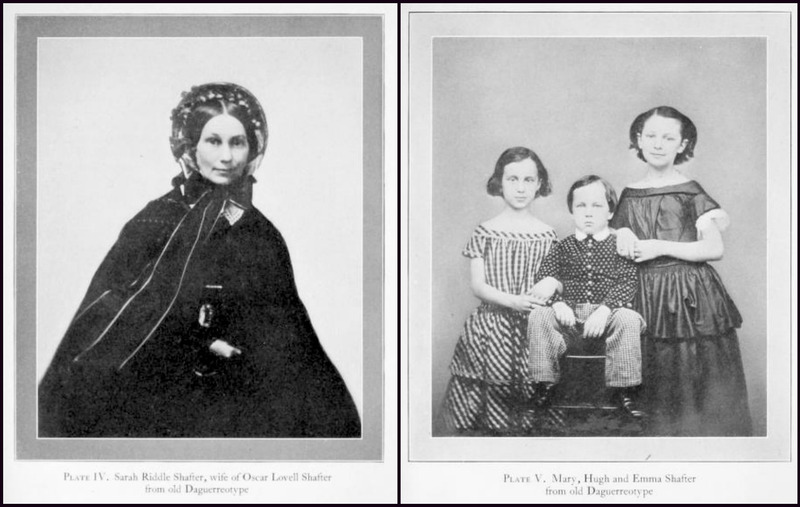 Oscar Shafter married Sarah Riddle in 1840 and together the couple had eleven children, ten daughters and one son. The prominent law offices of Halleck, Peachy, Billings & Park in San Francisco heard of Shafter's successful New England law practice from his friend Trenor W. Park, a junior member at the firm. They recruited him to join their firm and after accepting their offer, Shafter moved with his family to San Francisco in 1854. Although the firm dissolved shortly after he arrived, Shafter formed a partnership with his friend, starting the law practice of Shafter & Park. Over the years the firm continued to grow and change with the addition and departure of various partners. In 1863, Shafter served on the Oakland City Council, serving the city where he had built his home. He spoke fondly of Oakland in his letters, and saw it as growing faster than San Francisco and quite fertile. In a letter to his wife Sarah on April 30, 1855, Shafter wrote "I went with a friend to Oakland on the opposite side of the bay. There are thousands of acres of level land there and exceedingly fertile, lying between the bay and the mountains, and it is covered with ancient and gigantic oaks standing from 40 to 60 feet apart, and the sward beneath is covered with a luxuriant growth of grass and flowers. Among these trees the town is built. Every variety of fruit and flower, including many tropical exotics, grow here in the greatest perfection, and as to the climate, it is an unending June. Children here do not die young - at least rarely." Shafter also had a role in the current location of Mountain View Cemetery, having mentioned the site which adjoined some property that he owned, to Rev. Isaac Brayton. The idea was brought to the trustees who were looking for a new location for Oakland Cemetery, which sat too close to downtown and had outgrown its usefulness. In 1863, a constitutional amendment meant all of the seats of the Supreme Court of California were open for election. In October 1863, Oscar Shafter was elected as a justice on the Republican Party ticket, and begin his term in January 1864. The justices drew lots for term length and Shafter was assigned the long, 10-year term as an Associate Justice. According to court records, he was very slow and meticulous in preparing his cases. He penned numerous cases, including the oft-cited and legally questioned Bourland vs Hildreth, which claimed that an action of the Legislature should be deemed Constitutional, unless an obvious error occurred. A number of the land use cases that he ruled on have defined certain geographic boundaries in Oakland and San Francisco to this day. Shafter had a great fondness for Point Reyes, where he owned a ranch, Punta de los Reyes, and he had plans to build a home in Olema and take up the life of a farmer following his retirement from the legal profession and serving on the bench. A lone Sequoia gigantea was planted on the building site of his planned for home. He acquired large tracts of land in order to preserve its natural beauty and pass the land on to his descendants for their future homes. After traveling to Florence, Italy in an effort to regain his health, Shafter died there on January 23, 1873. 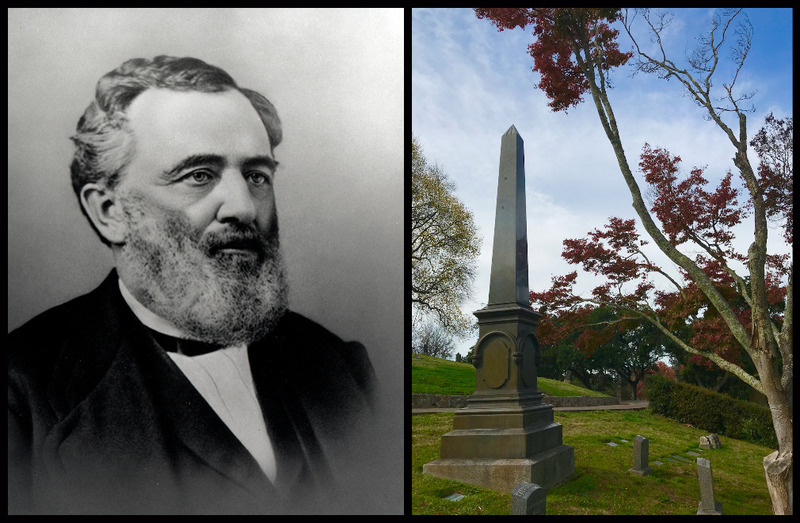 His funeral was conducted at the home of his son-in-law Charles Webb Howard. As the funeral cortege continued to the First Congregational Church at the corner of 10th and Washington Streets, many leaders of Oakland were in attendance, including numerous judges. There is a memorial window commemorating Shafter in the First Unitarian Church in Oakland of a farmer sowing his fields. On September 4, 1892 Rev. Charles W. Wendte delivered the discourse at the dedication of the stained glass window placed in the church in memory of Shafter by his daughters. 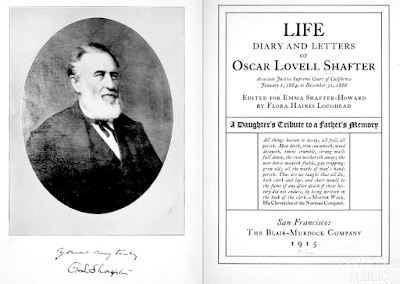 He was the subject of a biography, the Life, Diary and Letters of Oscar Lovell Shafter, written by his daughter Emma Shafter-Howard and edited by Flora Haines Loughead and published in 1915. His nephew William Rufus Shafter was a general in the American Civil War, recipient of the Medal of Honor and had Shafter Avenue in Oakland named in his honor. His family on the Lovell side was related to President William Howard Taft. Sources: Wikipedia, OaklandWiki, California Supreme Court archives, "Lives of the Dead" by Dennis Evanosky and Michael Colbruno, "Life, Diary and Letters of Oscar Shafter"
Helen Ekin Starrett was a renowned author, editor, publisher, inventor, educator, reporter, business woman and popular leader of the Women's Suffrage movement. Before she passed away, she was one of only two original delegates still living to attend both the first Suffrage Convention and the Victory Convention in Chicago, 1920. She died three months after the ratification of the 19th Amendment to the US Constitution, which guaranteed women the right to vote, something she had long fought for. She was also a close friend of Susan B. Anthony. Her presence at the Victory Convention reportedly made her somewhat of a superstar in that she had become an idol and mentor to thousands of women. The New York Sun reported that you could always tell where she was at the Victory Convention because she was constantly surrounded by mobs of women of all ages who wanted to meet her. In February 1864, she married her childhood sweetheart Rev. 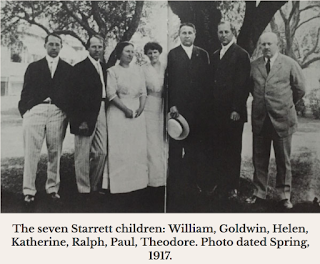 William Starrett and moved to Lawrence, Kansas, taking on the role of pastor’s wife in the pioneer community. Not content in that role, Helen quickly turned to teaching music, served as a newspaper editor, assisting her husband in his school superintendent duties, and becoming one of the state’s leading speakers and lecturers on the Suffrage Movement. After her husband passed the bar in 1880, her family relocated to Chicago where she founded Western Magazine. After three years, the magazine closed and Helen once again returned to teaching. 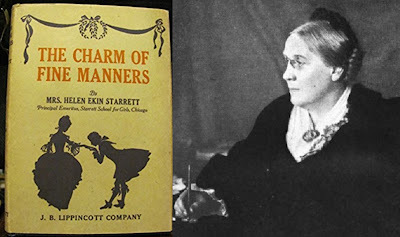 She was founder and principal for nine years of the Kenwood Institute, a classical school for girls and later founded and incorporated the Starrett School for Girls, both located in the Kenwood Community of Chicago. Founded in 1883, the Starrett School was one of the city’s oldest private schools, a large day school with accommodations for resident pupils providing classes from kindergarten to college preparation. Starrett became the second elected president of the Illinois Woman’s Press Association in 1893 and served the Association during the year of the World’s Columbian Exposition also known as Chicago’s World’s Fair. At the age of 47, Starrett was left a widow and single mother of their seven children, her youngest was only ten years old when his father died. Her five sons would go on to become some of the most famous and influential builders of their time, with résumés boasting landmark feats of American engineering, including the Empire State Building, Pennsylvania Station, the Woolworth Building, the Biltmore Hotel, the Bellevue Stratford Hotel, the Plaza Hotel and the iconic Flatiron buildings. Both of her daughters married builders—her daughter Helen married William Stewart Dinwiddie, founder of the Dinwiddie Construction Company, the firm who built the mausoleum in which her cremains are interred. 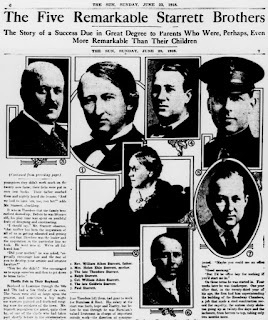 When Helen “retired” to Portland, Oregon in 1916, The Oregon Daily Journal printed a story about her role as the new president of the Ainsworth Parent-Teacher Association. She remained active in education and social matters, and attributed these things to be the secret to her youth. Her children built her a beautiful house in Portland where she would spend her final years. In addition to having patented improvements to women's shoes, she published several books, including Letters to a Daughter (1882), The Future of Educated Women (1880) , The Charm of Fine Manners, (1885) Pete, The Story of a Chicken (1886), Letters to a Little Girl (1886), A Little Sermon to School Girls (1886), Letters to Elder Daughters; Charm of a Well-Mannered Home (1888), Let Her Stand Alone (1890), Crocus and Wintergreen (1907), The Future of Our Daughters, After College; Now What? (1885), many poems and song lyrics, and countless other written works. Leandro Campanari (October 20, 1859 - April 22, 1939) was an Italian violinist, conductor, composer and music teacher, brother of cellist and baritone Giuseppe Campanari. Campanari was born in Rovigo, Italy on 20 October 1859. He began studying at a very early age and was sent by the city of Venice to the Musical Institute of Padua when nine years old. At 12 he toured Italy as a violinist prodigy, and to London where he played under Julius Benedict. Later he was associated with Franco Faccio and Antonio Bazzini. At fifteen, he entered the Conservatory of Music in Milan and studied the violin, harmony, counterpoint and conducting with the most eminent teachers of that institution. He graduated at nineteen and travled to England, where he performed successfully with an orchestra. He then toured Italy and France as a virtuoso before establishing himself as a conductor. He also taught privately and one of his pupils was the New York violinist Persis Bell, whom he married in 1880. In 1881, he moved to America as a soloist with the Boston Symphony Orchestra, and was featured in many concerts throughout the United States. He returned to Europe, but then returned to America, where he remained for three years as the head of the Violin School at the New England Conservatory of Music in Boston. He also assumed the direction of the music at the Church of the Immaculate Conception and performed important sacred works for the first time in that city. After his service in Boston, Campanari returned to Italy in 1886 and formed the Campanari String Quartet, which toured with great success for two years. During that time many notable composers, including Puccini, Catalani, Sgambati, Bazzini, Arturo Vanbianchi, Frugatta, Bossi and Andreoli composed music especially for the Campanari Quartet. He returned to the United States in 1890 to become professor of violin at the Cincinnati College of Music and remained there for six years. Returning to Italy in 1896, he divided his time between Milan, Paris and London. He gave a series of symphony concerts at La Scala, and a cycle of Beethoven symphonies at the Lyric Theatre in Milan. The orchestra then embarked on a highly successul tour. The next important engagement of Campanari and his orchestra was in London, at the Imperial Institute, which lasted nearly four months. In Milan he introduced several first performances in Italy of now-famous orchestral works. He also conducted opera in Milan, Venice and Genoa. While in Genoa, he was given the opportunity to play Paganini's violin, Il Cannone Guarnerius. He played Gounod's Ave Maria and Liszt's Campanella. In 1907, he appeared in New York City as one of the opera conductors of Hammerstein's Opera Company. He also conducted the Philadelphia Symphony Orchestra for a short time. With the same organization he appeared in Reading, Trenton, Wilmington, Washington and Baltimore for performances of Beethoven's 9th Symphony. He also conducted in Los Angeles and San Francisco. 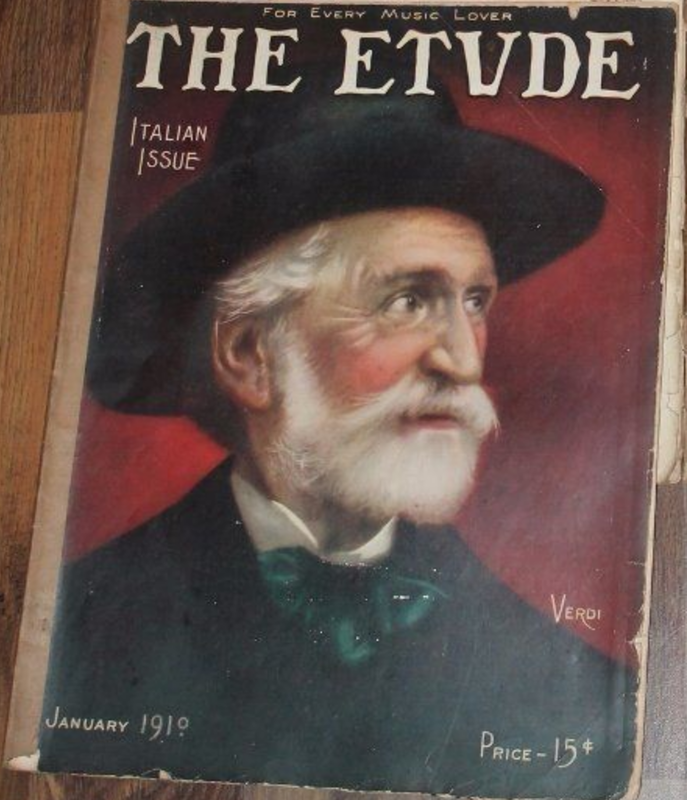 Campanari's friendship with Verdi extended over a period of many years. As a youth he played in an orchestra conducted by the composer, and Verdi's last work, the Stabat Mater, was first given under the direction of Campanari. The conductor's brother, Umberto Campanari, a lawyer, was one of the executors of the estate of Verdi. Leandro wrote an intimate piece about his relationship with the master for The Etude (January 1910). When his wife fell ill, Campanari moved to San Francisco and eventually resumed his work as a virtuoso and a conductor after her recovery. He became director of the California Conservatory of Music where he taught both violin and voice, and composed many English songs, as well as three text-books for violin playing. He died in San Francisco in 1939. 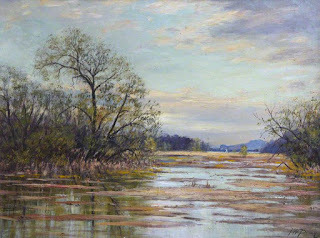 Herbert Alexander Collins, Sr., (1865–1937) was a Canadian-born American artist known for his portraits and landscapes. While still in his teens, he apprenticed with John Wycliffe Forster of Toronto, one of the foremost portrait painters in Canada. He was so talented that before he completed his first year of his apprenticeship, he was asked to paint a portrait of Albion Rawlings, a member of the Ontario Parliament. He emigrated to Nebraska in 1884 and opened an artist shop in Omaha with his brother James, who was also an artist. While in Nebraska, he painted portraits of leading entertainers, military figures and prominent politicians. In 1890, he moved to Chicago where he successfully worked as a portrait artist. In 1893, he went to London for six months and studied at the Royal Academy. While there he met Henry Charles Heath, the noted miniature painter, who inspired his work of painting miniature portraits with watercolor on ivory. In 1921, after a brief stint in Los Angeles, he moved to Berkeley, California. He went into semi-retirement from 1928-34 and lived in Los Gatos with his second wife. When he re-emerged after traveling the world with his wife, he spent the next three years as Artist-Preparator in the Western Museum Laboratories at the National Park Service in Berkeley. He called this the happiest time of his life. 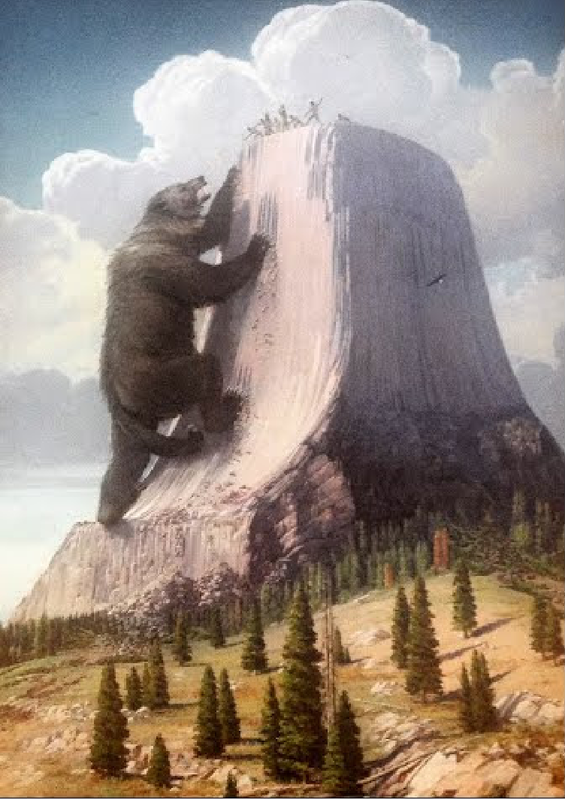 His painting of the legend of Mato the Bear hangs over the fireplace in the visitors center at Devils Tower National Monument. Herbert made several significant portraits of naturalist John Muir. The Sierra Club uses one of his portraits in their biographical materials about Muir. 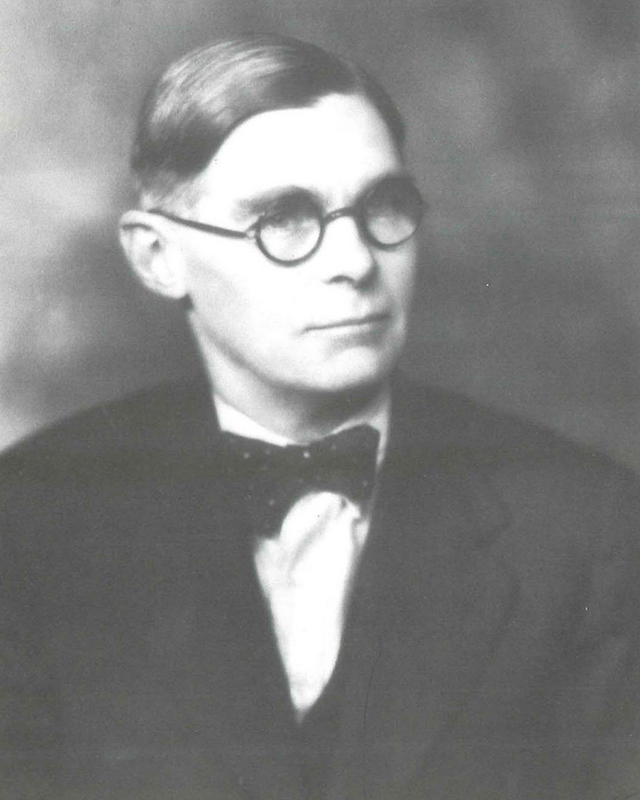 He died at his home of a heart attack on December 5, 1937 in Berkeley. 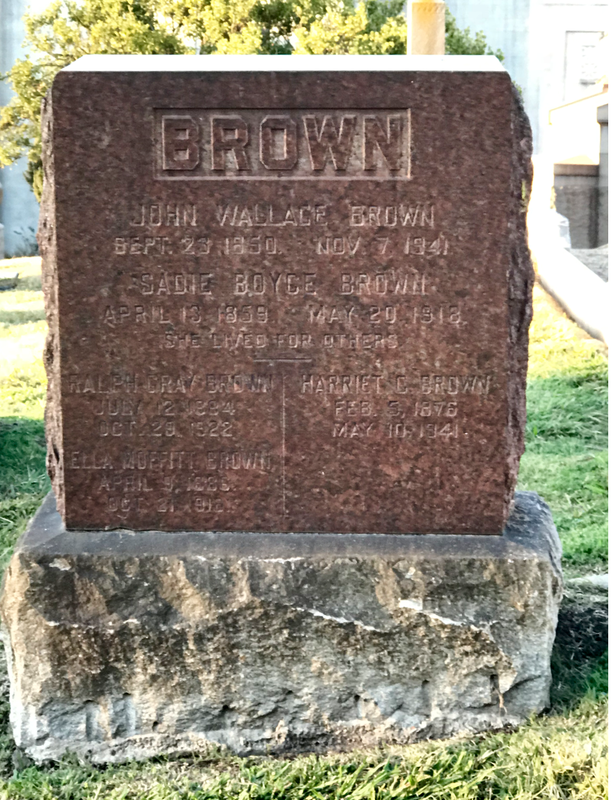 John Wallace Brown was born in Dundee, Scotland in 1850 and immigrated to Hanover, Massachusetts with his family at age two. After moving to San Francisco in 1880, he was a marine engineer and ship designer. He married Sarah "Sadie" Boyce in 1881, who died in 1918. The 1900 U.S. Census shows his residence as the United States Marine Hospital in San Francisco, where he was listed as a patient. Upon retiring in 1910, he traveled to Holland, Italy, and England to study art for three years. His work was exhibited throughout California, including at the Bohemian Club in Northern California and Santa Barbara City Hall. Upon returning to California, he lived in San Francisco and Alameda until 1920 and then moved to Santa Barbara where he remained until his death on November 7, 1941. In 1921, he was remarried to Harriett Greissinger, a retired piano instructor, who died in May 1941. Rear Admiral Francis Stuart Low was born in Albany, New York in 1894. He was a graduate of the US Naval Academy, Annapolis in 1915. His second wife was Alice Requa, whose parents were Mark and Florence Requa, prominent East Bay members of High Society. During WWI he served in submarines and later worked on submarine and torpedo research. Vice Admiral Low played an important part in the Allied effort to combat German sub­marines during World War II. He was Chief of Staff for a time to Admiral Ernest J. King, Chief of Naval Operations, who di­rected the 10th Fleet. The 10th Fleet, organized in 1943 to counter a German sub­marine campaign, used surface and air forces of the Atlantic Fleet and sea frontier forces. 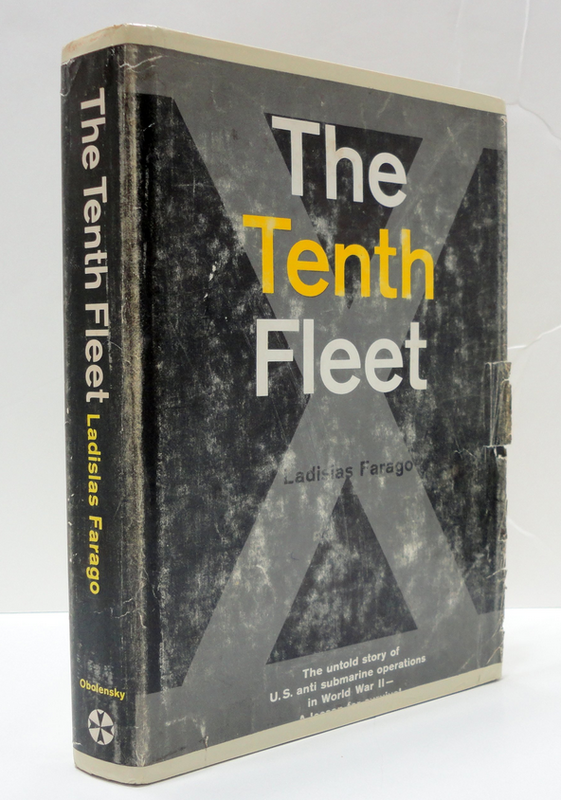 Ladislas Farago's book "The Tenth Fleet"
During World War II he also served in the Pacific, as com­mander of a cruiser division in the invasion of Okinawa and in strikes against the Japanese mainland. After the attack on Pearl Harbor, Hawaii, which entered America into World War II, President Franklin D. Roosevelt asked his top military leaders to figure out a way to strike back at Japan's homeland as quickly as possible. In response to the President's urging, Captain Low then an Anti-Submarine Warfare Officer on Admiral Ernest King's staff, presented the plan it might be possible for Army medium bombers to take off from a Navy carrier. When Captain Low took his concept to the President and his Military General Staff, four squadrons of B-25 bombers of US Army Air Corps volunteers under the command of Lieutenant Colonel James "Jimmy" Doolittle were formed and put into secret training. Thus of April 18, 1942, sixteen B-25 bombers lunched from the carrier USS Hornet, resulted in Jimmy Doolittle's air raid against Tokyo Japan which marked the beginning toward victory for America and her allies in World War II. After the war he was in charge of neutralizing all Japa­nese naval installations in Ko­rea, Commander of the Service Force of the Pacific Fleet and Deputy Chief of Naval Opera­tions (logistics). From 1953 un­til his retirement in 1956 he was Commander of the West­ern Sea Frontier.